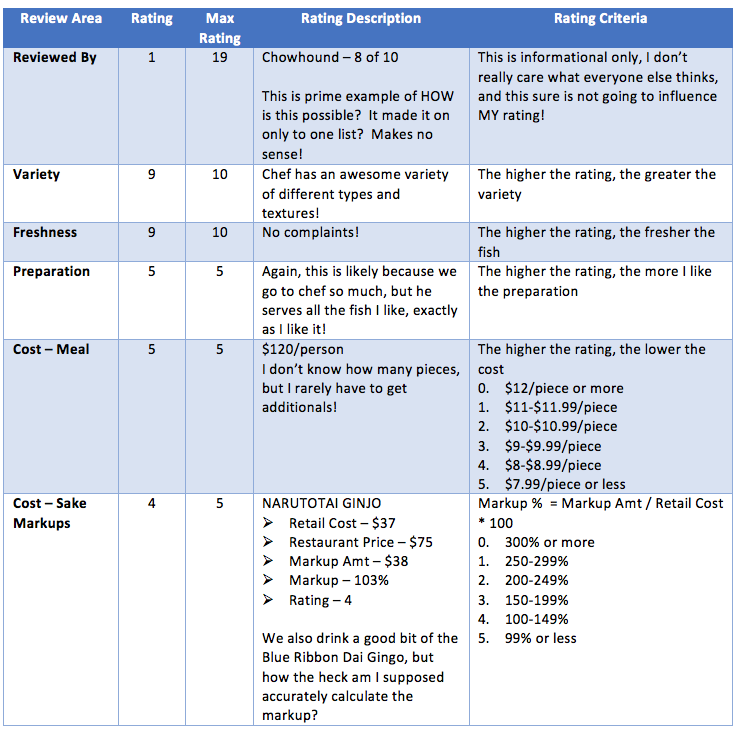 Refer also to our review from BLUE RIBBON IZAKAYA AUGUST POSTING where we corrected their rating to now be a 34! There are only a handful of restaurants that we “frequent”. 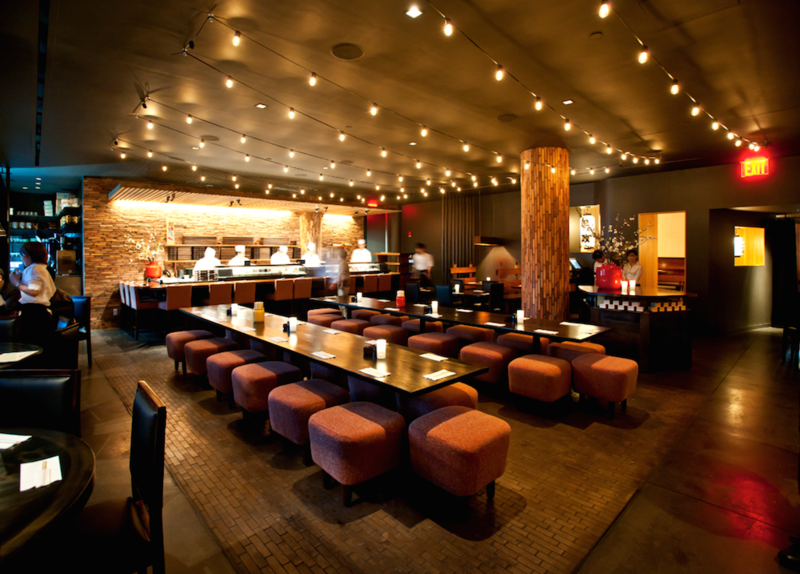 BLUE RIBBON IZAKAYA is one of them, it’s our stomping ground. Like all regulars, we have our preferred chef, preferred drink, preferred seats, preferred waiters even! We actually spent my birthday there this year, the boyfriend brought my entire family to chef. We had a lovely time! Note that we went there right before we made the decision to start writing this blog. For that reason, this review won’t be about a specific meal, it will be more of a collection of my favorite dishes there. We’ve been consistently going to chef for a looong time, and at this point, chef knows what I like, and dislike, and same for the man. And he caters to that a little bit. This is why it pays to have a place you frequent. 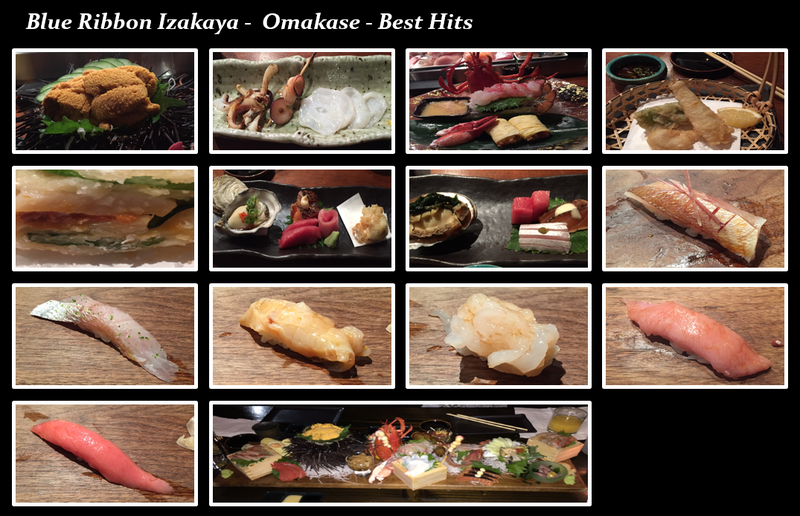 While you can’t make a bunch of requests at omakases in general, if you go to the same place A LOT, they’ll remember what you like! 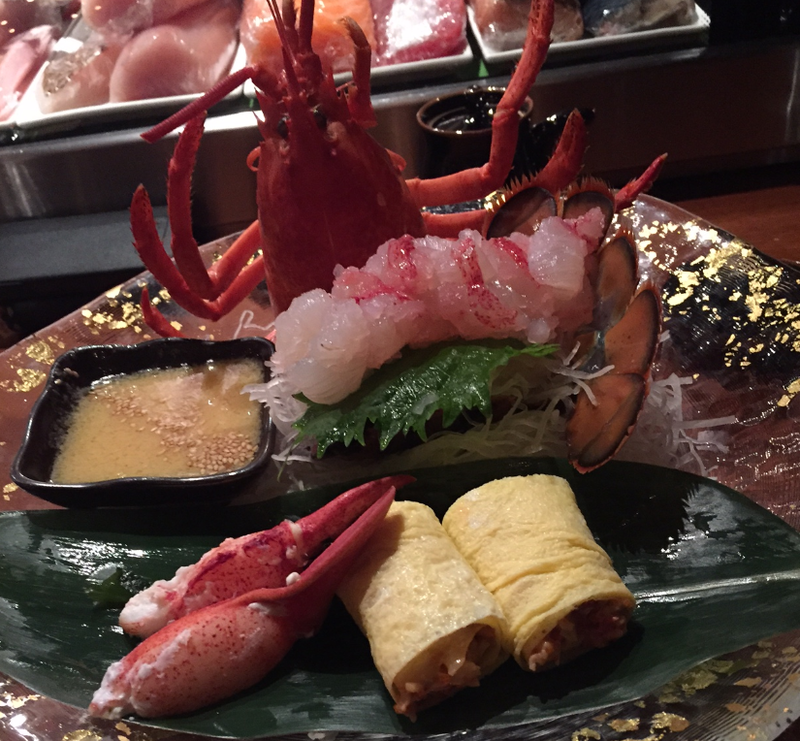 Generally speaking, chef likes to start with a couple small plates, primarily raw sashimi, but on occasion, throws in some deep fried or ABURI-ed goodies, then goes to the sushi, then finishes with a final piece, or roll, of your choice. Undoubtedly, when in season, starting from late September/October, through all of winter, has to be the live UNI from Santa Barbara. Chef always checks it before giving it to us. It is VERY LARGE, the morsels are ginormous and deliciously sweet. He cleans it out, and then puts it back into the shell atop a bed of radish and cucumber for serving. Magnificent! In the Summer/Fall timeframe, the favorite shifts to NAMADAKO. I know, I know, it’s not exactly a “luxury” type of fish, but people like what they like! And I like my live octopus! Don’t hate! 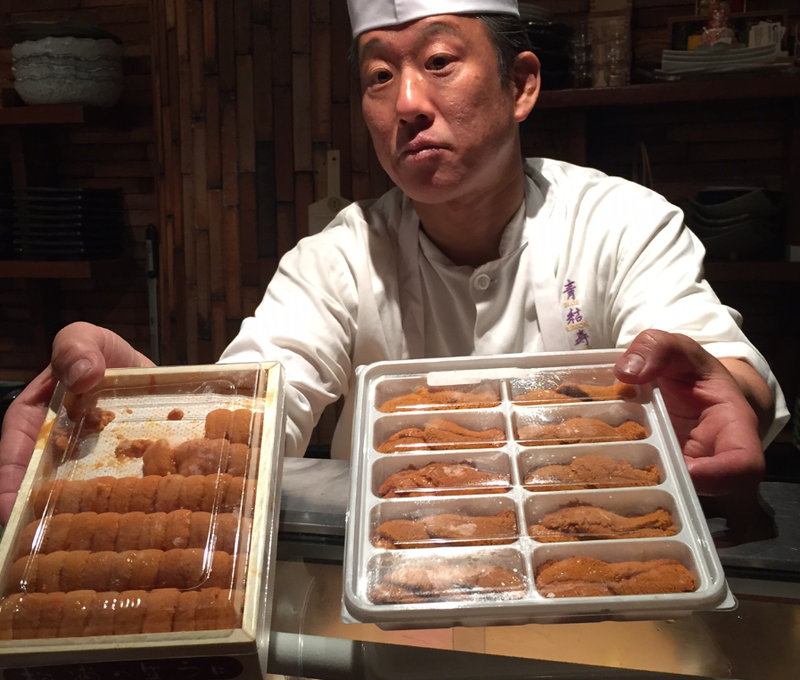 He tends to serve his NAMADAKO with the thick side of the tentacles sliced thin, topped with a splash or lemon juice, and some sea salt. 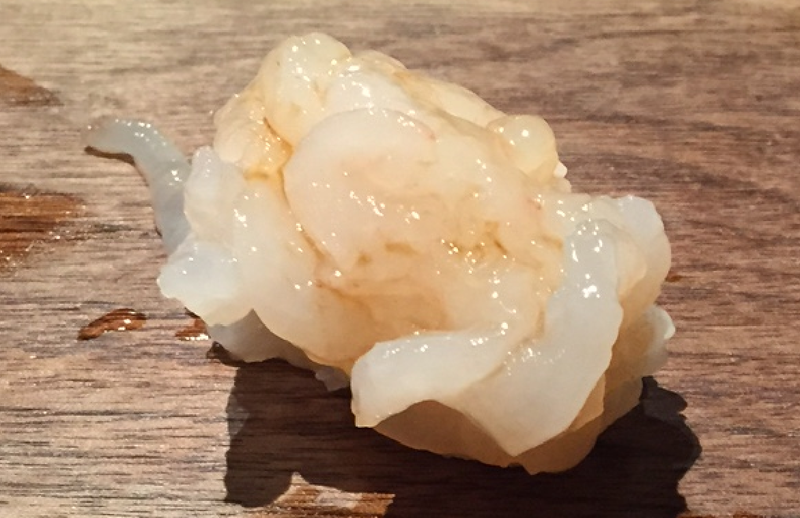 The suction cups, and the tiny side of the tentacles is usually grilled or sometimes deep fried. To be honest, I would prefer if he didn’t grill the suction cups, I prefer them raw. My wonderful man always offers me his sliced raw NAMADAKO, and takes what I desire less, the grilled stuff, off my hands. Poor, wonderful man. I am a lucky, lucky girl! 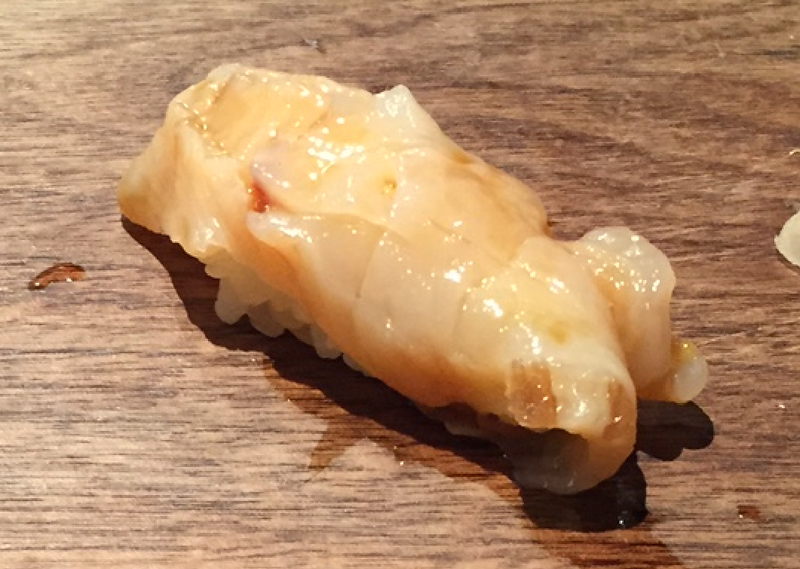 I don’t have any photos of this, but when in season, and chef’s able to get a small KASUGODAI or AKAMUTSU, those rank WAY above the UNI and NAMADAKO. I know, more blasphemy! But these are just so hard to come by. 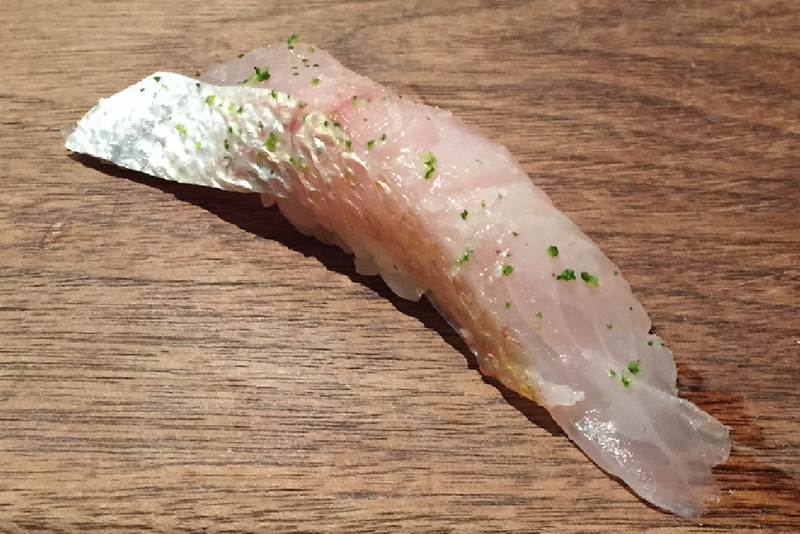 No other fancy NYC restaurants will give me a whole baby KASUGODAI or AKAMUTSU, and still do all the necessary preparation to it! Maybe an AJI, but not these guys! These are just heavenly. Last favorite that I’ll share is a cooked one. It’s actually not cooked, it’s just appears to be. It’s DEEP FRIED GOODIES! 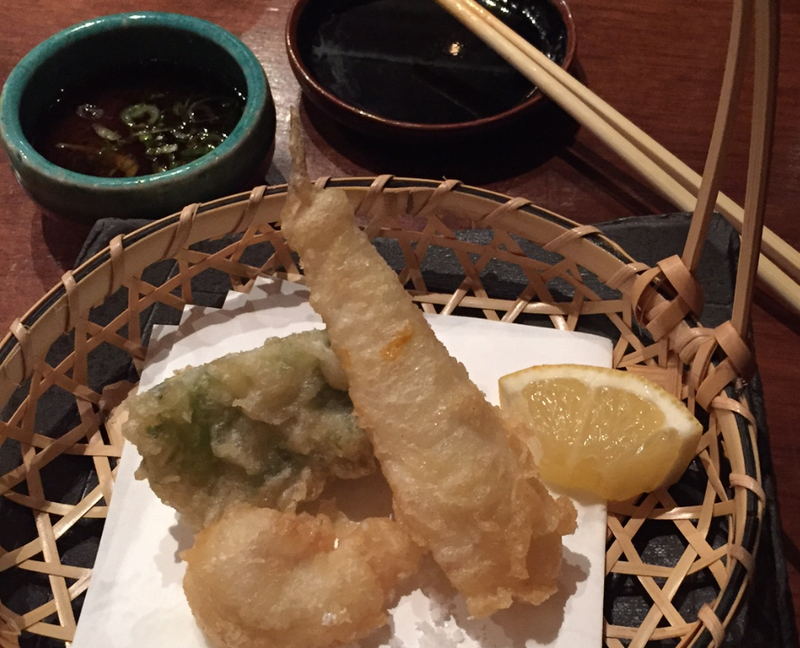 It varies, but my two favorites are the deep fried TAI-SHIRAKO (cod sperm sacks), and the deep fried UNI, SCALLOP, SHISO sandwich. Until you try it, you’re not going to believe me when I go on and on abt how great these are. Both are completely raw on the inside. 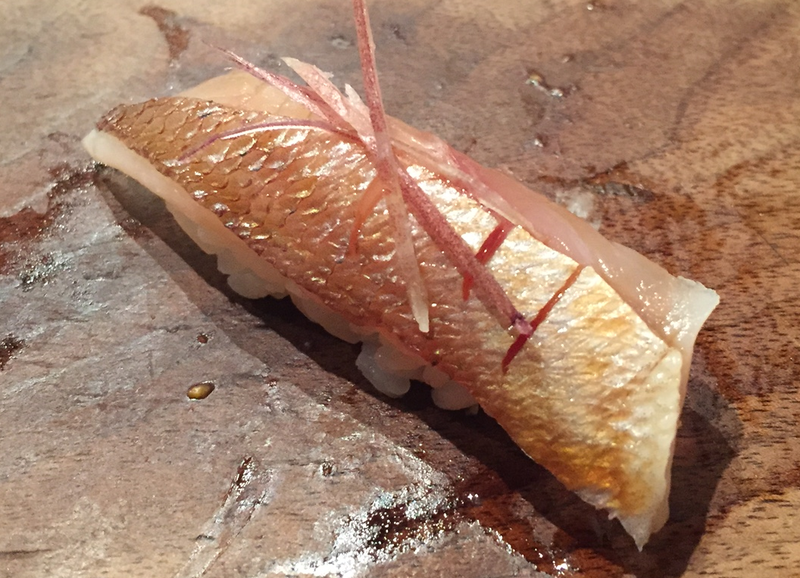 The TAI-SHIRAKO spills out like milk, scrumptious. 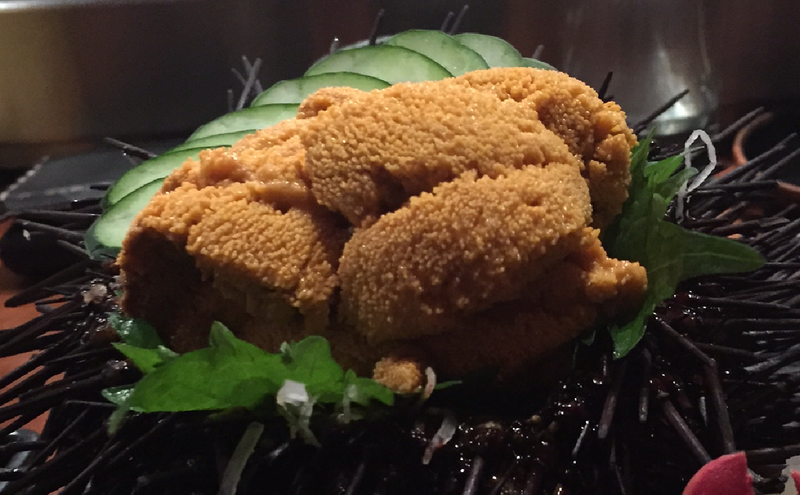 The UNI, SCALLOP, SHISO sandwich, AHHHHH, need I say more? 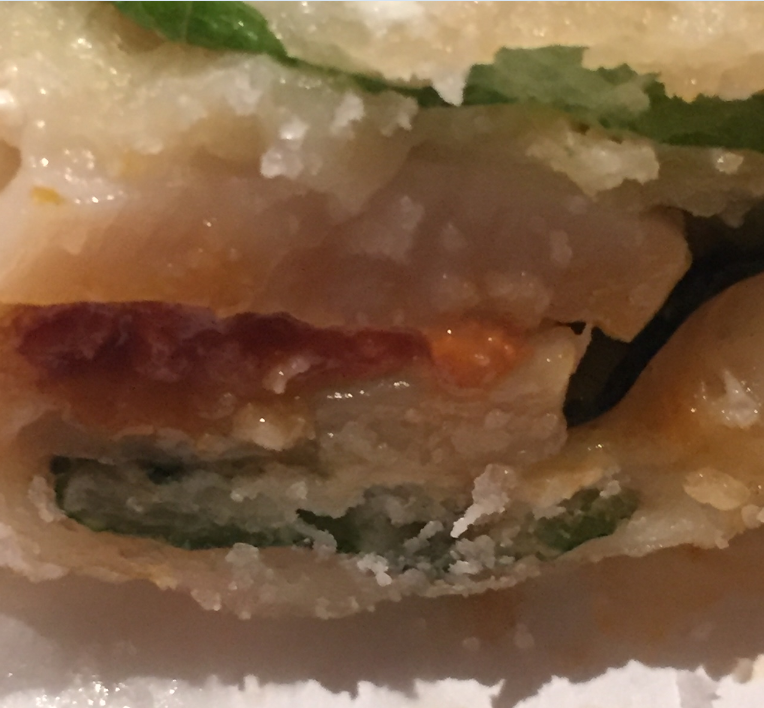 It is the most amazing medley of flavors, combine into one easy to eat, DEEP FRIED sandwich! Onto the sashimi platter. 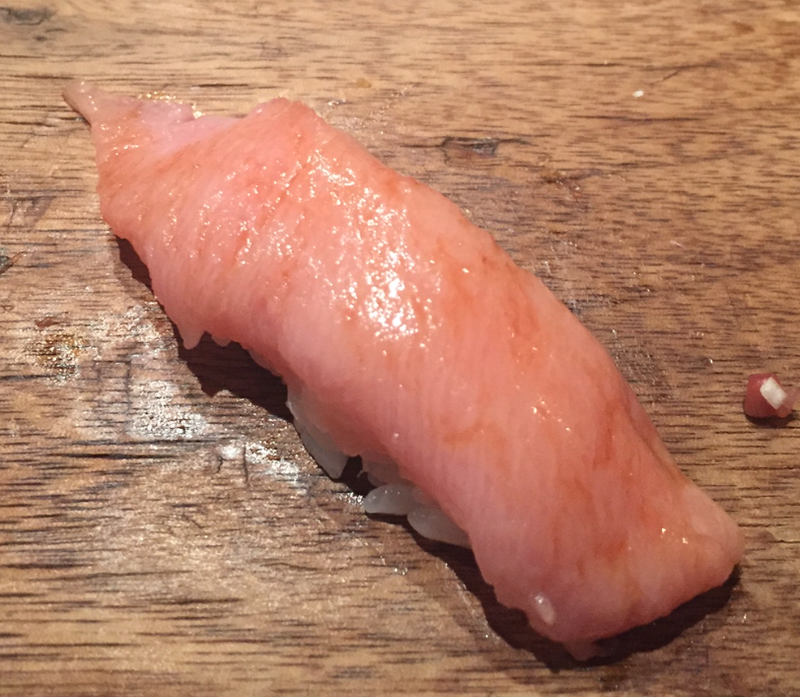 Staples tend to be salmon, either SAKURA-MASU (cherry salmon) or NIJIMASU-MASU (rainbow trout), and CHU-TORO (medium fatty tuna), the rest rotates. 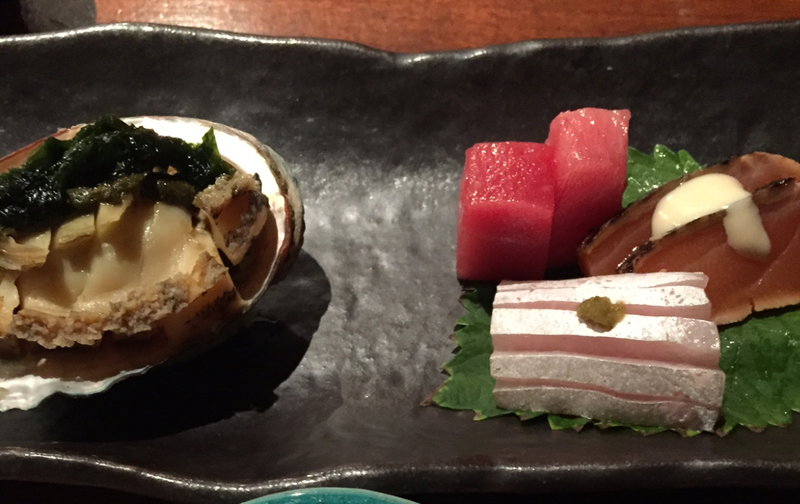 I really like it when there’s a plump west coast KAKI (oyster), or AWABI (abalone)! Maybe one day, I’ll start writing about oysters too! Or perhaps boyfriend should. He likely knows more in that arena than me. Finally, the sushi. 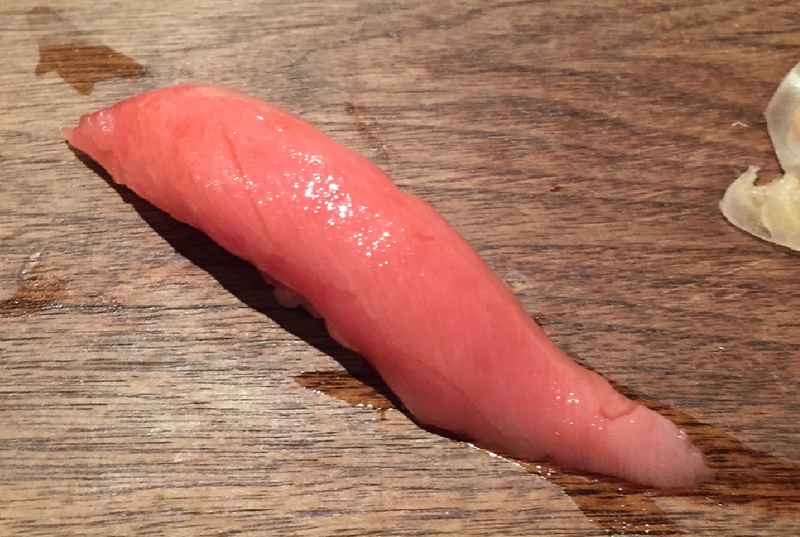 In the past, I took zero pictures of sushi. You eat sushi with your hands, so you’re going to get messy. Who wants to deal with a phone for photos when you can just enjoy the moment? I have these photos simply because a non-NYC friend of mine was inquiring abt “proper sushi meals”, I was trying to prove a point. Dessert – Fortunately, we’ve always been too stuffed to explore desert. So nothing to share here! Finally, I just want to share my birthday meal platter. We had TWO of these guys (after our small plates of course). I had a good birthday this year.